Kareena Kapoor Khan recently attended Laksshya’s birthday bash with Taimur Ali Khan Pataudi. 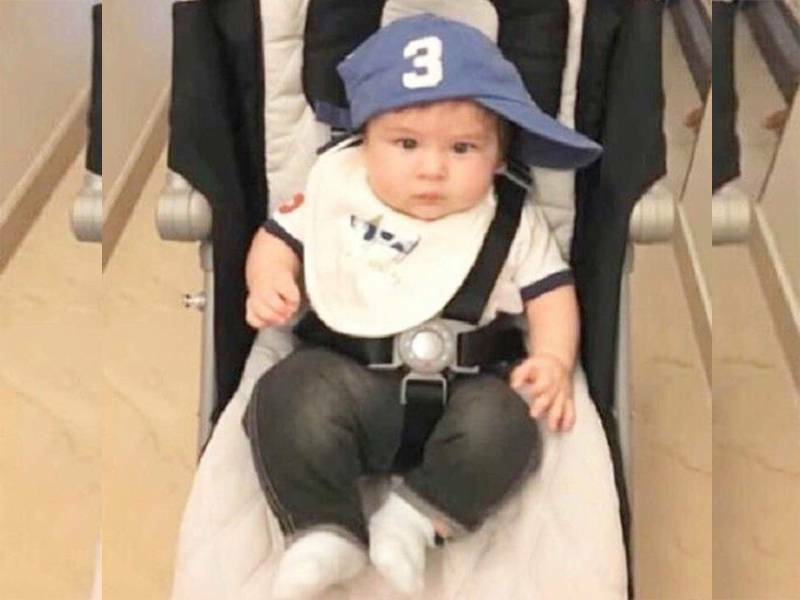 Nodoubt he had made news just after he was born, but leaving all that aside you will definitely agree he is one of the cutest kid in bollytown. Kareena Kapoor Khan and baby Taimur were special guests at actor Tusshar Kapoor’s son Laksshya’s first birthday party Five-month-old Taimur was safely perched on to her mother’s arms while the paparazzi got a glimpse of the duo. Kareena and Taimur were colour coordinated in blue. Kareena was photographed while getting off her car and making her way inside the building. Before that, Kareena also waved to the photographers. She was comfortably dressed in a cotton shirt and black pants, paired with brown heels. Little Taimur looked adorable in shirt and denims. Laksshya was born to Tusshar via surrogacy last year and turned one on Thursday. Kareena and Saif married in 2012 and welcomed their first son, Taimur Ali Khan Pataudi, in December last year. The five-month-old toddler, was at Tusshar Kapoor’s son birthday bash and managed too grab all eyeballs. The aborable was Dressed handsomely in blue denims and denim shirt.